Sarah Barbee is a Doctor of Chiropractic with PT privileges. She was born and raised in Maryland and attended the University of Maryland, Baltimore County in Catonsville, where she earned her bachelor's degree in biological sciences in 2006. Following in her grandfather’s footsteps, Dr. Barbee knew chiropractic care was where she wanted to be. After graduating with honors from New York Chiropractic College (where she was a classmate of Dr. Grady’s), she came back to her roots here in Baltimore. She joined Health Quest in 2015 after treating patients for five years at a practice on the other side of town. 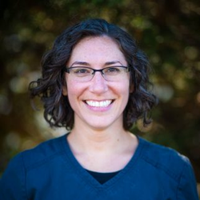 Dr. Barbee is committed to continuing her education about various treatment techniques, as well as guiding the practice in the research and training of new exercise protocols. She is also certified as a Whiplash and Soft Tissue Injury Specialist through the Whiplash Injury Biomechanics and Traumatology program at the Spine Research Institute of San Diego. She brings to Health Quest a love of helping patients, focusing on the person rather than the condition, and treating each patient like family. She enjoys spending time with her daughter, running, and doing yoga in her spare time.